Essen/New Delhi. More than 1.3 billion people and strong economic growth add up to tremendous demand for goods, services and raw materials in India. Infrastructure development, in particular unrestricted access to electricity in rural regions, continues to present a major challenge. On Monday, 4 February, at the invitation of STEAG the Minister of Economic Affairs, Innovation, Digitalization and Energy of the German Federal State of North Rhine-Westphalia, Prof. Andreas Pinkwart, informed himself in New Delhi about what an enterprise from North Rhine-Westphalia is doing to help meet this challenge. At the India Habitat Centre in the Indian capital, Joachim Rumstadt, Chairman of the Board of Management of STEAG GmbH, welcomed North Rhine-Westphalia's Minister of Economic Affairs, Innovation, Digitalization and Energy and showed him a resource-conserving photovoltaics-based means of distributed power generation which STEAG is offering in India. Andreas Pinkwart was accompanied by a business delegation comprised of further representatives of enterprises from North Rhine-Westphalia. “Economic growth requires energy – nationwide and from reliable sources,” said Joachim Rumstadt in welcoming Mr. Pinkwart. 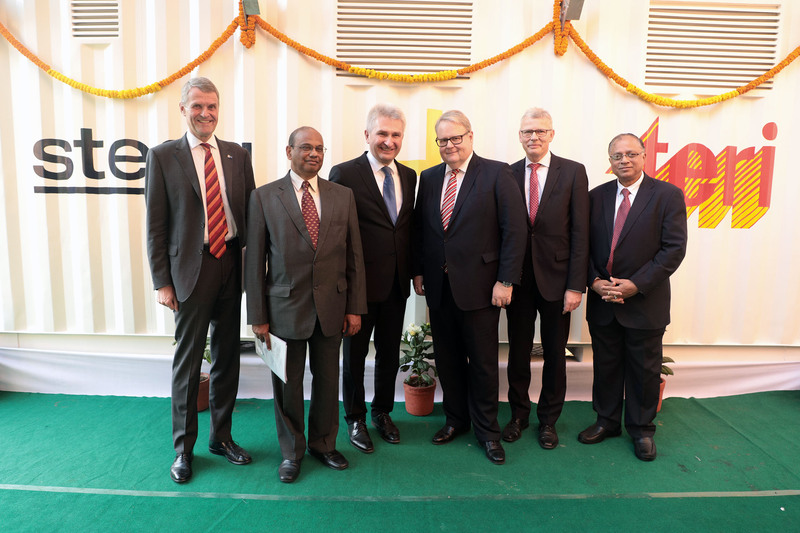 SES now employs around 1,500 persons in India – more than in any other country outside Germany – and over the years has built up a substantial network and local expertise. STEAG has acquired a knowledge of the Indian market and develops technical solutions of its own there. One of these solutions, in the form of a 6-meter-long and 2.45-meter wide overseas container, was presented to Minister Pinkwart for firsthand inspection: a container-based, hybrid photovoltaic plant which, complemented with batteries, reliably supplies electricity for up to 24 hours a day – with and without grid connection. “With its development STEAG addresses exactly what puts the brakes on social development and economic growth in India,” said Joachim Rumstadt. In rural areas the connection to the power grid is tenuous at best, and in many areas electrification is entirely lacking. Despite existing plans and allocated budgets, even the most basic amenities remain a dream for many millions of people. Against this backdrop, SES has developed this effective solar solution. Output ranges from 4 to 8 kilowatts peak (kWp). The containers, which have their robust equipment preinstalled in India, are quick to set up and easy to put into operation. First the container serves as a transport box in which the complete equipment is delivered. The stowage space then available at the destination has been prepared for multifunctional use. 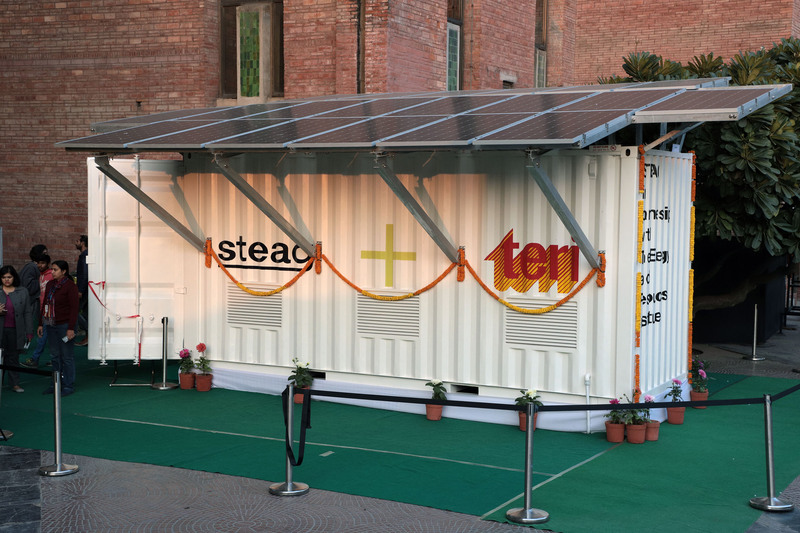 Together with the renowned Indian non-profit organization “The Energy and Resources Institute (teri)”, STEAG will market this technical solution in India and in African countries. Since the mid-1970s this independent institute has been in search of sustainable solutions for continuous improvement of the living conditions of India’s population. STEAG has handed over the first container to the Dr. Nalin Singhal Memorial Foundation. It has been put to work in the North Indian state of Uttar Pradesh. In the city of Gorakhpur the photovoltaic plant reliably supplies electricity for a project of the non-governmental organization (NGO) URJA Energy. URJA devotes itself to improving the living conditions and promoting the health of women. In the project in Gorakhpur, women find work and make toiletries in a small production facility. Power failures previously were a common occurrence and greatly hampered work. The STEAG container now ensures an uninterrupted supply of electricity. This is an impressive example of how experience and initiative from North Rhine-Westphalia, combined with local knowledge and skills, can improve the conditions of life of people in poor rural districts.